Some of the smallest insects are sometimes some of the most interesting. To both fish and fisherman, midges are among these insects and they usually appears in large quantites when they hatch. Preferably found in still water, such as lakes, and parts with slow moving water in rivers, streams and creeks, they are one of the most importonat food sources to many fish species, including brown trout. Midges are one of the largest familys within the order Diptera. There lifecylce goes from egg to larvae, pupae and finally adult insect. Midges are among the most important insects in the food chain for many fish species, including trout. There are several thousands of various species with in this family and most of them are true survivers and can be found in both fresh and saltwater. Midges are among the first and last insects to hatch during the season. 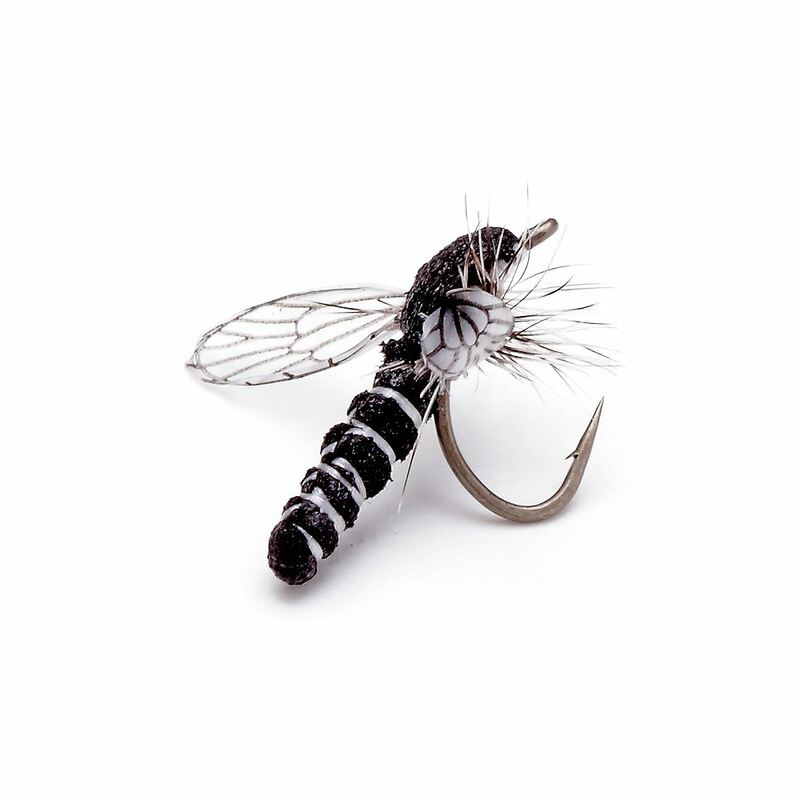 In areas were you are allowed to fish during winter, large hatches of midges can very well bring alot of fish to the surface. The pupae and adult insect are the most interesting to a fly fisherman. When fish feed on the hatching pupae hagning in the surface or the adult midge, they often do it with ease revealing this with a classic head-and-tail rise. When you fish your imitaitons, you often have to do it with concentration and be patient. Use long leaders and a fine tippet. A good idea is, especially if you are fishing still water, is to use an imitation of the adult midge at the end and further up the leader use imtiations of the pupae. You can also switch the imitaiton of the adult midge to a caddisfly (or other larger dry fly) and use that as an indicator to see if the fish took your imitation of the pupae or the real thing next to it. And do remember, small flies do catch big fish.